When you visit our INFINITI dealership near New Britain, CT, you’ll be able to enjoy the luxurious driving experience that you deserve. Our inventory is full of new INFINITI cars that you’re sure to love, whether you need a sophisticated sedan for your daily commutes or a spacious SUV for your growing family. At our Connecticut INFINITI dealer, you can take your time browsing our selection to find the vehicle that’s perfectly suited to your personality and lifestyle. We have plenty of 2018 and 2019 INFINITI models to choose from, and we’re always updating our INFINITI specials, so be sure to ask about the different ways you can save when you buy or lease a new INFINITI from us. Schedule a test-drive to see how you feel behind the wheel of one of our luxurious cars or SUVs. Check out our selection of INFINITI Q50 and INFINITI Q60 sedans, or get into the driver’s seat of an INFINITI QX50, INFINITI QX60 or INFINITI QX30 SUV. No matter which model you feel drawn to most, you can take the time you need to get to know every feature of that automobile. And if you have any questions, our INFINITI sales experts are standing by to assist you with anything you may need. Once you’ve picked out the INFINITI car or SUV that you’d like to take home, you can meet with our INFINITI finance team. They’ll go over your buying and leasing options to find a price that suits your unique needs. We’ll walk you through the entire car-buying process and lay out the different APR financing rates that are available. 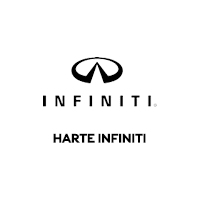 Everyone here at Harte INFINITI is committed to matching you with the perfect luxury vehicle that you’ll love for years to come. Schedule a test-drive today, or drop by our Connecticut INFINITI dealer to browse our inventory and speak with a sales expert!